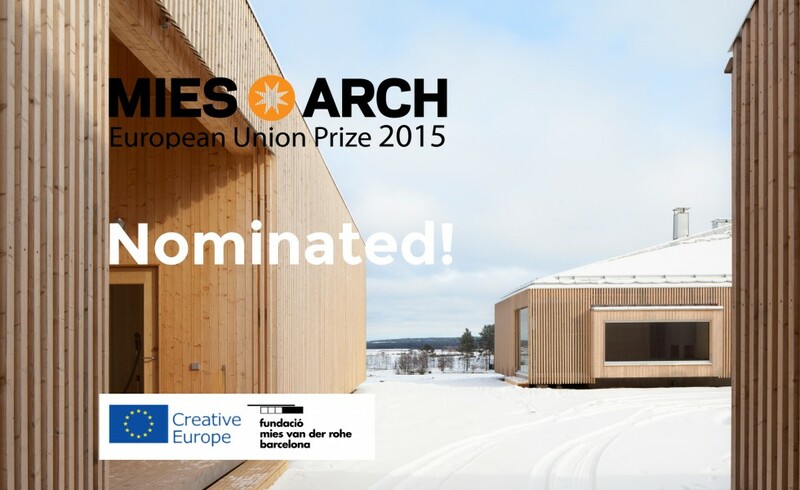 We are happy to announce that House Riihi has been nominated amongst the projects for the European Union Prize for Contemporary Architecture – Mies van der Rohe Award 2015. Launched in 1987, the European Union Prize for Contemporary Architecture – Mies van der Rohe Award is one of the most prestigious acknowledgments for European architects. Funded by the EU Cultural Programme and the Fundacio Mies van der Rohe (FMvdR) – Barcelona, the biannual prize gives credit to professionals who are developing the architectural practice through new ideas and technologies, to build better spaces and cities. Kärsämäki Church and Kuokkala Church were selected as shortlisted projects respectively in 2005 and 2010. 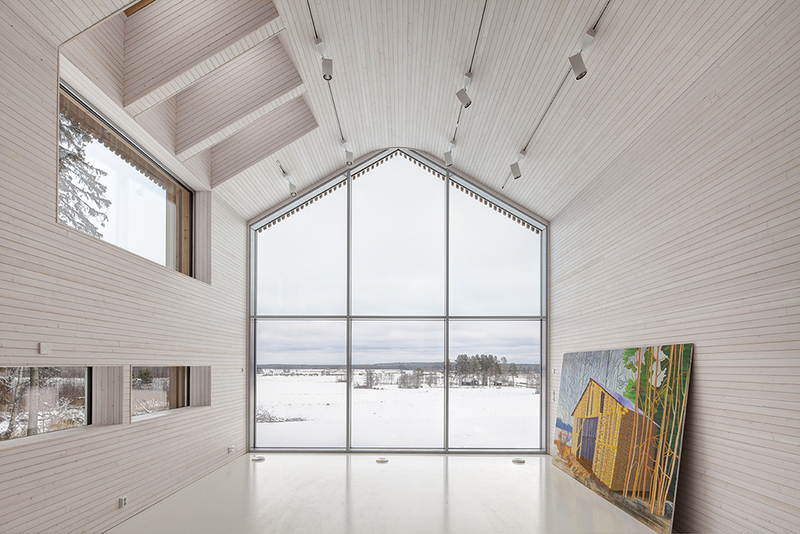 We are glad to see the work of OOPEAA nominated once again as a candidate for the prize, this time with the House Riihi, a single family house situated in the midst of the traditional farm landscape of Ostrobothnia. House Riihi is located in a valley-like area next to a small island of forest on the side of a farm field. The view of the valley with the field has a strong presence in the house and the buildings are organized in a traditional manner around an inner yard so that they give shelter and frame vistas into the landscape. 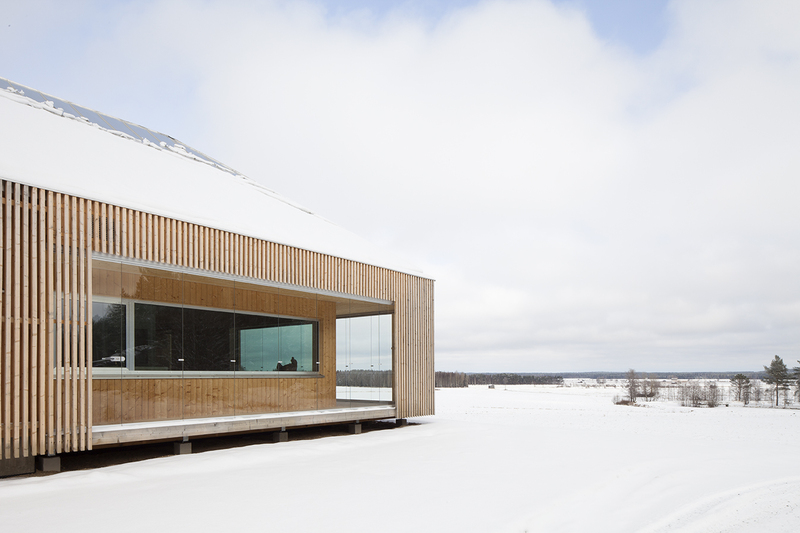 The house blends in with the surrounding nature through its shape and the materials used. Its exterior, interior and frame are all made of wood. Compressed wood has been used for insulation and paper has been used for sealing. The objective was to create a healthyand ecological building that can be recycled when it reaches the end of its life cycle. The wood is felled from the local forest and the house has been built in close collaboration with skilled local craftsmen making use of the traditional methods of building, applying their knowledge for example in the construction of the four heat retaining fire places that can be used to provide hot water to the house and to heat the house even in the cold Finnish winter weather. The wood in the exterior parts has intentionally been left untreated in order to allow it to naturally turn grey over time. All metal parts in the building are made of untreated aluminum produced in a local factory nearby. The lighting system in the house is supplied with batteries that are charged with solar power. It is possible to live in the house without being dependent on the power grid and on the water and drainage grids. The house is a low energy building. Creating a dialogue between the local tradition and a contemporary approach, it offers a natural framework for sustainable living.